Active, playful and oh-so-adorable, the soft-coated wheaten terrier is also a courageous watchdog and a devoted member of the family. Wheatens are playful and active. Pictured here are an 11-year-old adult and a 1-year-old puppy. Notice the puppy’s darker coloring. Wheatens are medium-sized, compact dogs with a long head and rectangular body. 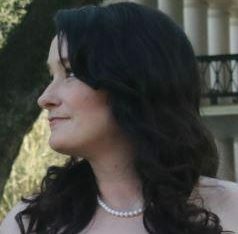 The large nose is black as are the lips, and the wide, almond-shaped eyes are shades of brown or yellow (yellow or lighter eye colors are considered faults for conformation purposes). The V-shaped ears fold forward, and the tail is set high on the body. The single coat is wavy and comes in shades of wheat (hence the name). Puppies are darker, but their coats lighten as they mature. Males weigh between 35 and 45 pounds, and females are slightly smaller with a weight average of 30 to 40 pounds. Similar proportions apply to height: Males average 18 to 20 inches tall, and females range from 17 to 19 inches tall. The average life expectancy of the breed is around 15 years. Documentation doesn’t exist for the exact origin of this breed, but the dogs have been reported during the past 200 years in Ireland. There is speculation about the breed being linked to the Kerry blue after a shipwreck off the coast of Ireland. The dogs were bred for strength and stamina and evolved to medium-sized dogs with quick responses. The breed was recognized by the Irish Kennel Club in 1937 and later by the Kennel Club of England in 1943. The breed was exported to the United States in 1946, and American fanciers of the breed later met in Brooklyn, New York to form the Soft Coated Wheaten Terrier Club of America in 1962 on St. Patrick’s Day. The American Kennel Club added the breed in 1973 to its Miscellaneous Class. Later that year, the breed was reassigned to the Terrier Group. Wheatens were originally farm dogs herding livestock and protecting the farms. They also hunted vermin and small wild animals. Today they participate in conformation, hunting, herding and ratting, and serve as watchdogs and farm dogs. 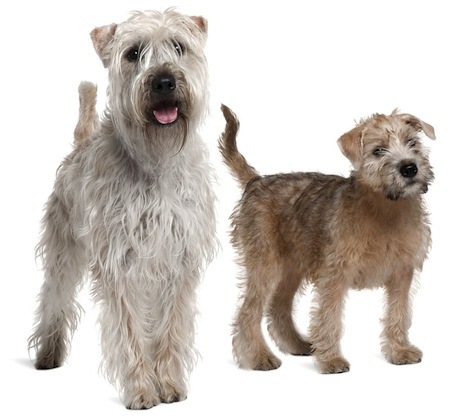 Soft-coated wheaten terriers are active, alert, playful and strong considering their size. They are great watchdogs because of their confident and brave personalities. They are also intelligent and learn quickly but need consistent training. They are not known to be excessive barkers or to bark without reason, and they bond strongly to their family members. Children and other dogs are usually fast friends, but smaller animals may be seen as prey by the soft-coated wheaten terrier and chased because of the breed’s vermin-hunting instincts. Wheatens are active indoors and can do well without a yard. This makes them ideal for apartment or city life, but you should still walk your wheaten terrier every day. The single coat does not shed much, but it does require regular maintenance. Brushes can cause frizz, so you should brush this dog with a comb instead to remove and prevent tangles each day. You can bathe this dog as needed. The hair around the face is usually cut short, but longer styles are commonly seen and resemble the appearance of schnauzers. Check and clean the eyes and ears regularly. Also, keep those teeth brushed and the nails trimmed. This breed is considered very good for allergy sufferers. Is the Soft-Coated Wheaten Terrier the Right Dog for You? If you’re looking for a watchdog or a breed that doesn’t require a lot of space, maintenance and is good with kids, look no further. The soft-coated wheaten terrier is great with kids, other dogs and can be fine with cats (with proper socialization). The breed does well without a yard and is active indoors. Grooming maintenance is fairly easy; daily brushing with a comb will help alleviate any tangles. The health problems are minimal with this breed, and life expectancy is long at 15 years. If this sounds like your ideal pet, the soft-coated wheaten terrier could be your new family friend for years to come. You can find soft-coated wheaten terriers in shelters and rescues from time to time, so definitely start with an adoptable search first. If you decide to contact a breeder, please read our important article on puppy mill red flags. Also ask the breeder about health screening; there are tests that can be performed either on the dog or the parents to evaluate the risk of the health problems common to this breed.